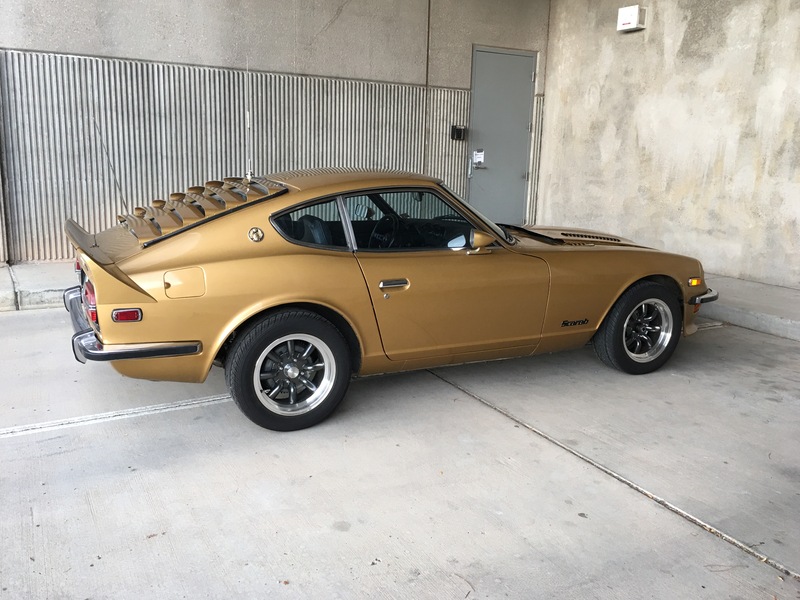 1973 240Z Scarab for sale, I'm listing the car for my Father. 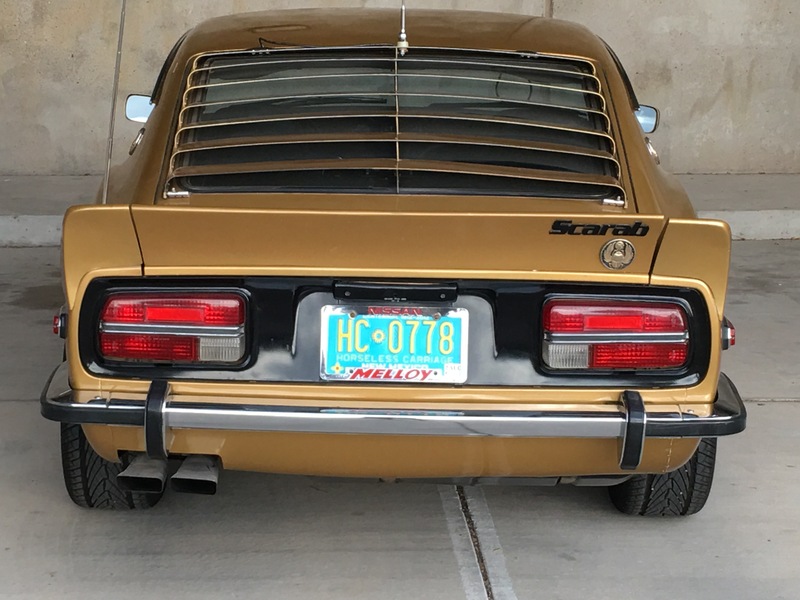 My Dad has owned the car since 1981. True survivor, non molested with less than 30K original miles. 327, Super T-10, Cromodora wheels finished in Safari Gold. Garage kept in New Mexico and never abused. Interested parties please reply with contact information. Accepting offers. More pictures for serious buyers upon request. Car will be released upon receipt of cash in person with any shipping the responsibility of the buyer. Thanks for the interest, a truly nice car. Is there an asking price? Cool - car - what it a factory car or did your Dad do the conversion? Ditto - what are you asking for it? Cool car. I'd be begging Dad to pass it down. The wheels look just like my Konig Rewinds? Do you have any documentation? A build sheet? Provenance? 1/4 mile time slips? Would make it more interesting. My Dad bought the car in 1981 pretty much as it sits (aside from routine maintenance). My Dad added adjustable coil-over suspension, he also upgraded the front brakes to vented rotors with 4-piston calipers. The gentleman he bought the car from (in Arkansas) said he ordered the car directly from Brian Morrow, but my Dad did not get any documentation when he bought the car. Rare rust free example. The original Magnesium Cromodora wheelset is included. The car has been truly babied, so no 1/4 times. My Dad is more than happy to "talk shop" with interested people, just send me a note with contact info. Nice car! I loved the Scarab as a kid... this one looks very clean. Documentation will help sell it at that price. Can your dad get any docs for it? 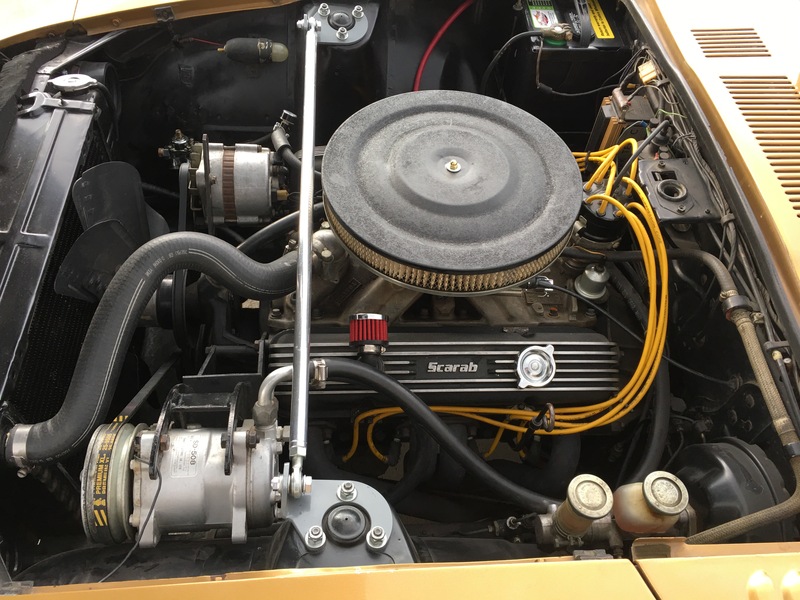 Check out our Scarab forum for more information about the conversion and any additional details you may need with the listing. Would be much easier if you just posted what you'd like to get sir. I added to my original posting with some additional information as well as the asking price ($43k). Thanks for the interest! I've always found it better that unless someone asks for my opinion, I just keep it to myself. He only has two posts. And I think his avatar is a Porsche. Maybe he was being ironic. Sorry fellas just guess I'm out the loop on what something like this is worth. 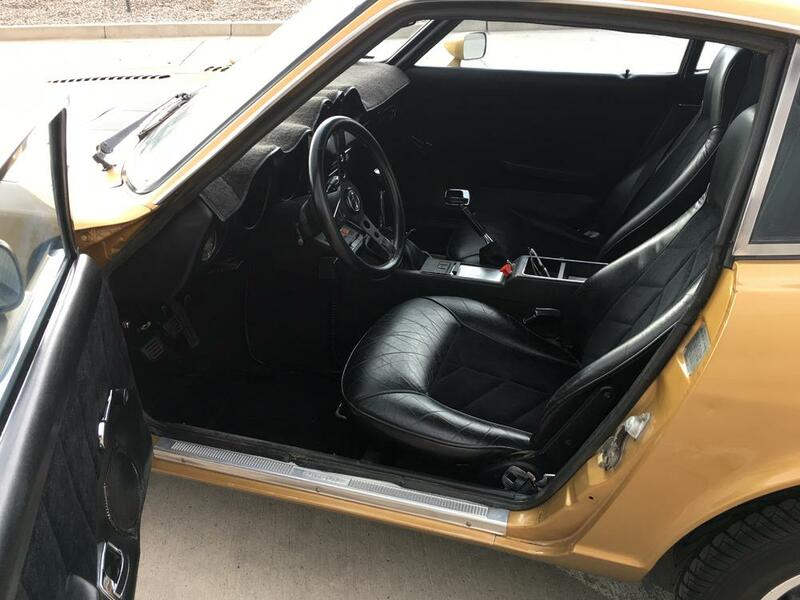 Yes I've owned many 911's but Ive been searching for a 240 and didn't expect them to bring this kind of $. A Scarab is a very unique car. They tend to be very rare and one in great shape could bring this kind of money. 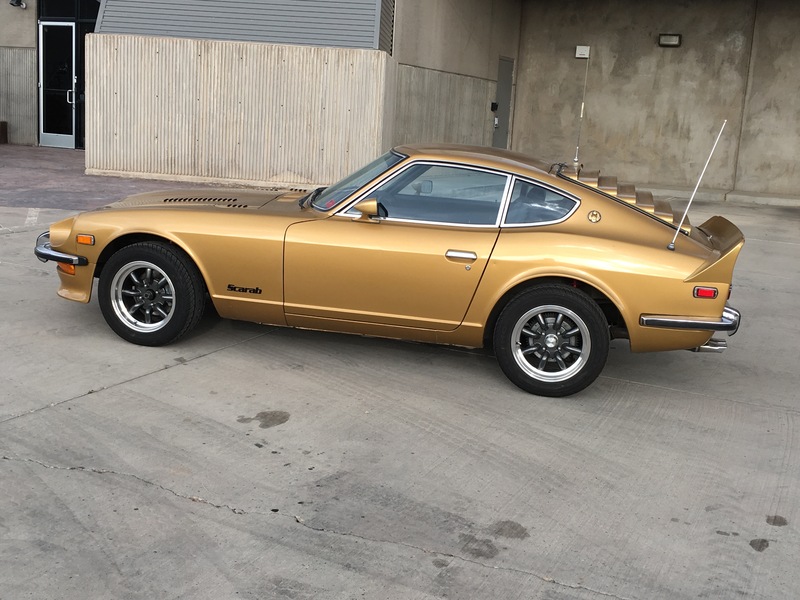 The Scarab 240Z's are unusual and of higher value than the common 240Z to many people. Especially if they were built by the guy that designed them (I think that's the guy, right, Brian Morrow?). This isn't some V8 swap done by a couple of rednecks in a shed over a weekend. I remember reading about these when I was a kid. It is a matter of finding the right buyer. I wish I didn't have a wife. 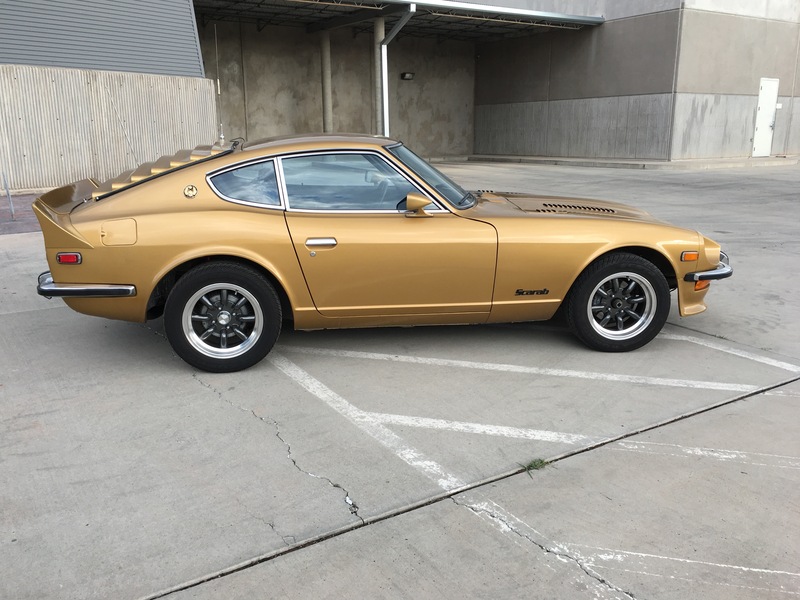 Is this Scarab Z still for sale? 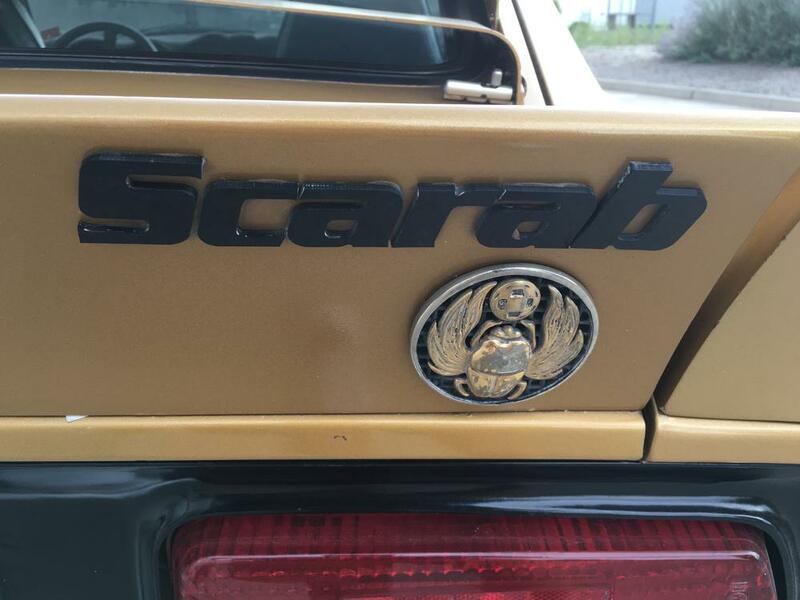 Interested in the Scarab you have for sale, just wanted to know if it was still available and if so, how can I contact you. My email address is tony@derosewine.com and Phone number is 831-636-9143. Hope to hear back from you. It was a barn though, not a shed. This isn't some V8 swap done by a couple of rednecks in a shed over a weekend. This is the basic problem of "no paperwork". Can't tell where it came from. If you could get even some old letters or find some scribble marks in the engine bay, it would add a lot. Some rednecks do fine work too.